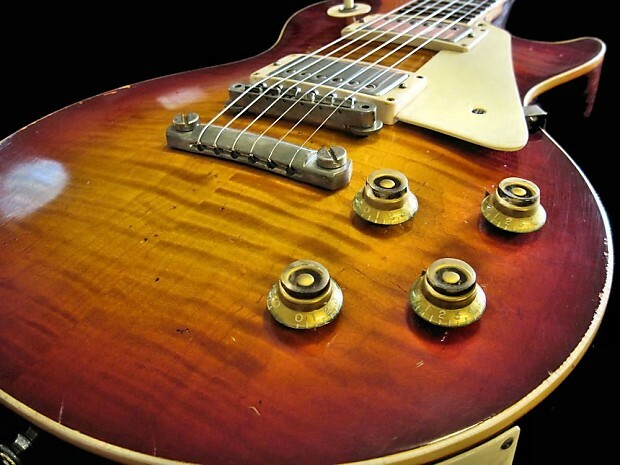 2015 VINTAGE CHERRY BURST – JUST THIS SIDE OF A REAL DEAL '59 !!!! 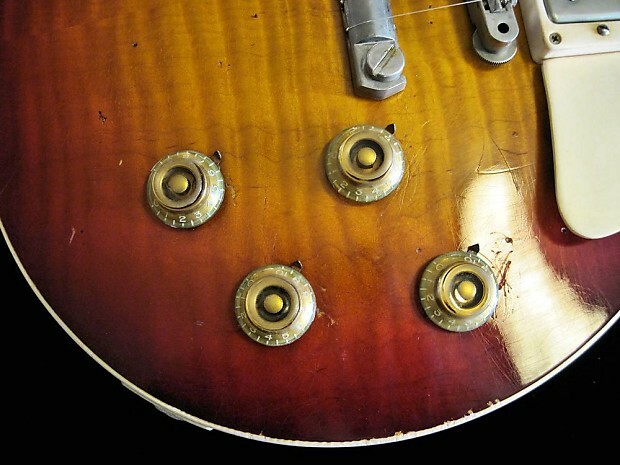 The next time you look at an Aged or Relic'd Les Paul… take a really good look. 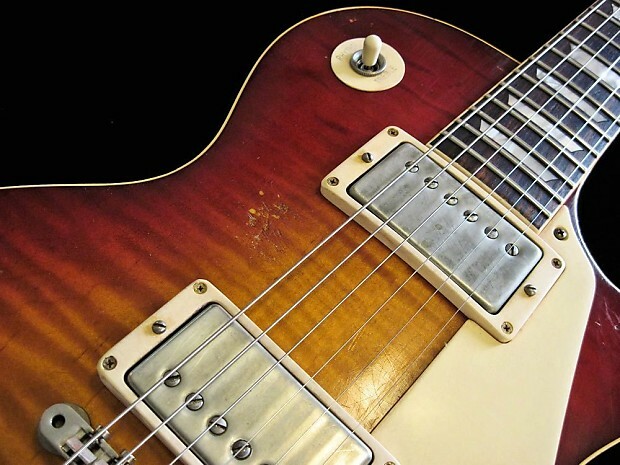 Have you ever seen or played first-hand what a real late 50’s Model Les Paul Standard actually looks like when it’s been played for almost 60 years? We have… more times than we could possibly count over the last 5 or 6 decades. 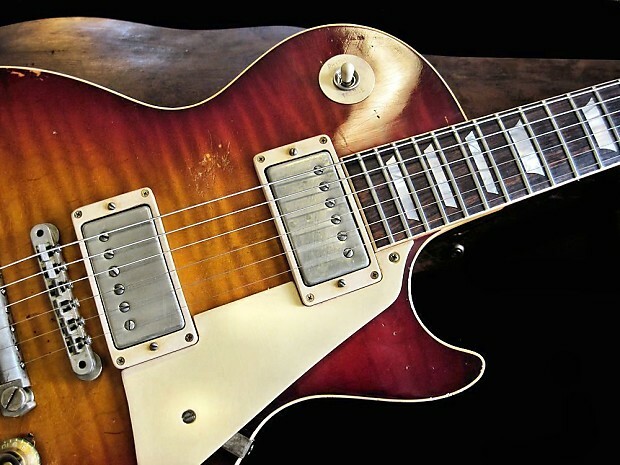 When you see a “factory aged” Les Paul, ever notice how generally the only thing that seems to get aged is the top, and perhaps ever so slightly… the nickel hardware? 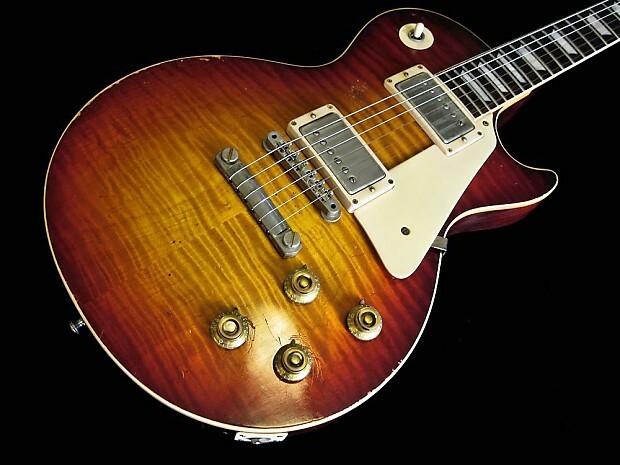 Now compare that to a Real Vintage 1959 Les Paul Burst that has been played its whole life… a keen eye will quickly notice all the outrageous shortcomings of these so called “aged” guitars. Take note of the REAL vintage aged finish checking on the top... This is not done with razor blades, etc... This is actual natural aging and weather checking/finish cracking. 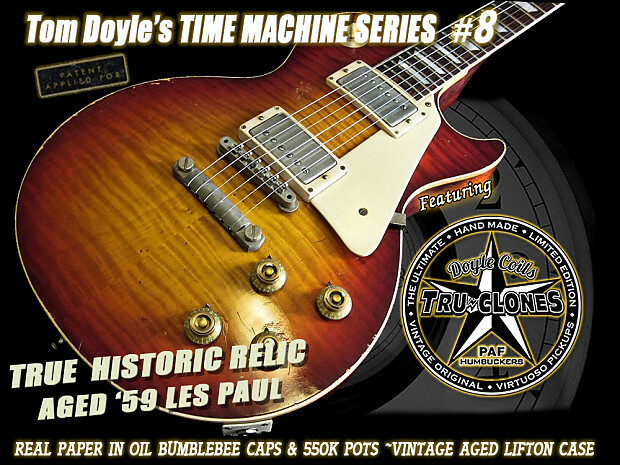 When Tom Doyle and his team Vintage Age and Relic a Les Paul guitar, the ENTIRE guitar gets complete attention. 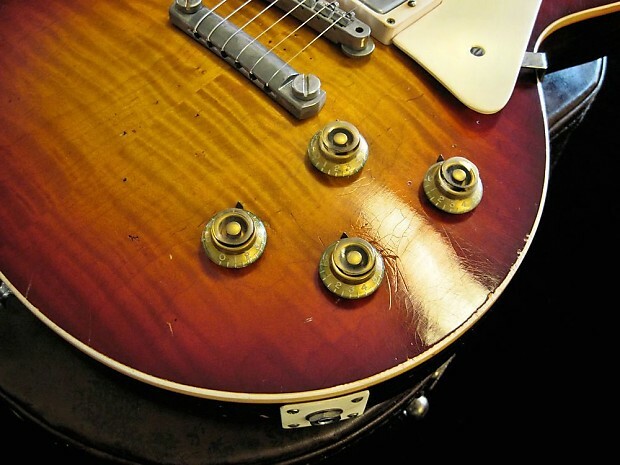 Think about it for a moment… how could an almost 60 year old guitar have a weather checked top but then have brand new shiny volume and tone knobs with no “greening”, perfectly clean finger indicators with no rust? How could the top be so old, but the hardware looks so clean and new? 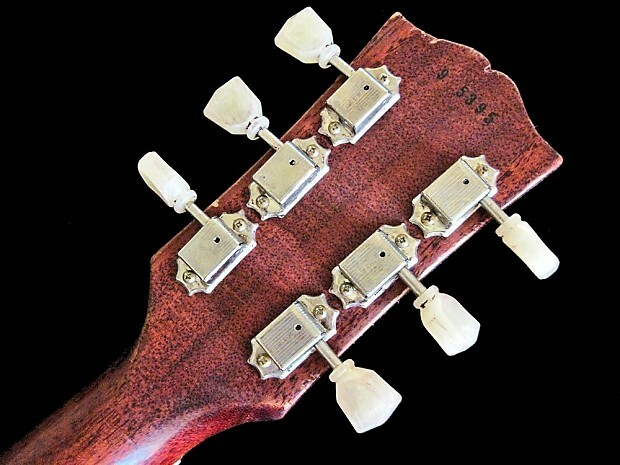 Why are the tuning keys brand new and not discolored, and the nickel housing not patina’d and rusted? How can the pearloid fret markers not be discolored? And for God’s sake, how can all the plastics be fresh and clean, and crisp… right from the factory? 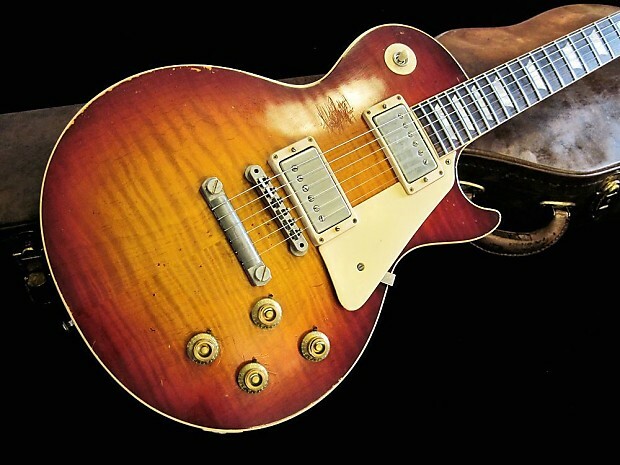 We could go on and on… So again, take a really good look at these supposedly aged or relic'd (and very expensive) Les Paul guitars! Rather questionable in our humble opinion. Now... look at this! 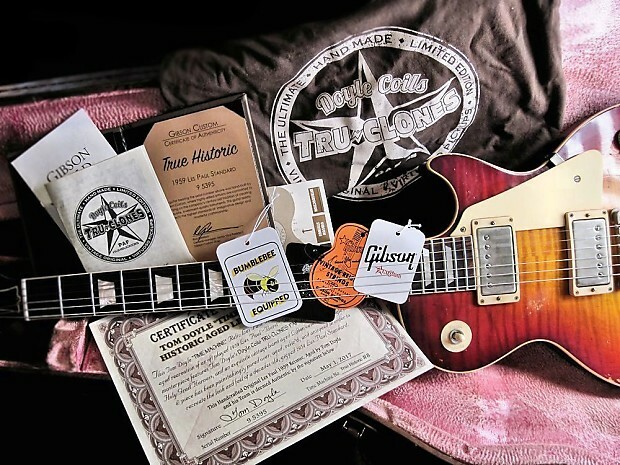 Again, this is your chance to own part of the actual Les Paul Legacy… This is a one of a kind, hand done, one off, relic’d Custom Shop Historic ’59 Les Paul… done by Les Paul’s personal guitarman of over 45 years, Mr. Tom Doyle. ---- NO factory work here, no mill process, no assembly lines… each guitar is done individually, by hand. Even the case is an aged and relic’d vintage Lifton Case! 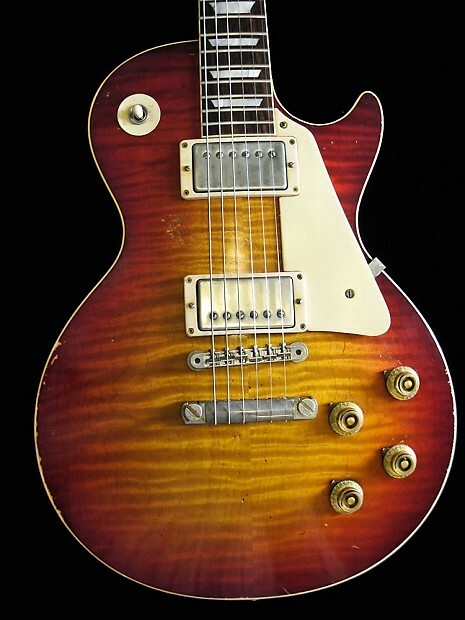 You see, Tom Doyle was Les Paul’s personal guitar builder, repairman, restorer, soundman & engineer, co-inventor, fixer, and all around right hand man for over 45 years. Tom knows more about the Les Paul guitar than any other single human being on the planet… and that’s putting it mildly. Tom was side by side with Les, “in the trenches” since the early 60’s… working tirelessly and was dedicated to “The Master” his entire life. After Les would destroy a beautiful guitar in the quest for this sound or that, he would summarily bring it to Tom Doyle to fix, repair, restore, and even make it better than it was before Les applied his “handy work”. 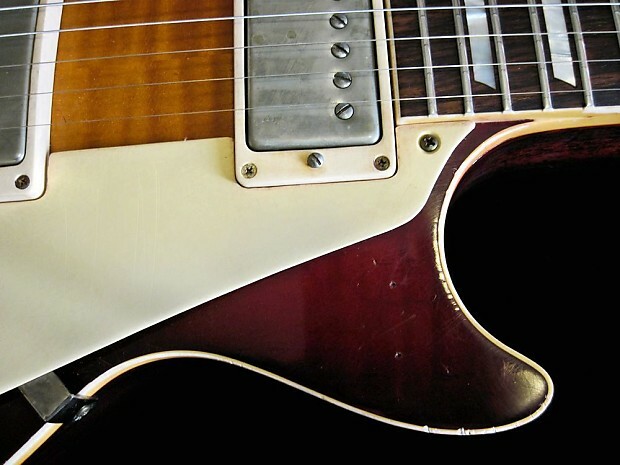 By the late 60’s and early 70’s, the word got out that Tom Doyle was doing amazing things with Mr. Les Paul… and the guitar legends came running. Guys like Jimmy Page, Rick Derringer, Paul McCartney, Chet Atkins,, and all of the “jazz guys” like Bucky Pizzarelli, Al Dimeola soon had Tom building, modding, and/or repairing their guitars too. Then in the 80’s Tom was building and working on guitars for the likes of George Benson, Tommy James, Sting, Muddy Waters… and the list goes on and on. Tom became known worldwide as “The Luthier to the Stars”. Not bad work, if you can get it! So… why the history lesson? We want you to know what you are looking at here. Tom and his team have completely stripped this guitar down to its core. Every single part and piece has been painstakingly pored over, aged, relic’d, antiqued, patina’d, and fussed over and rebuilt. 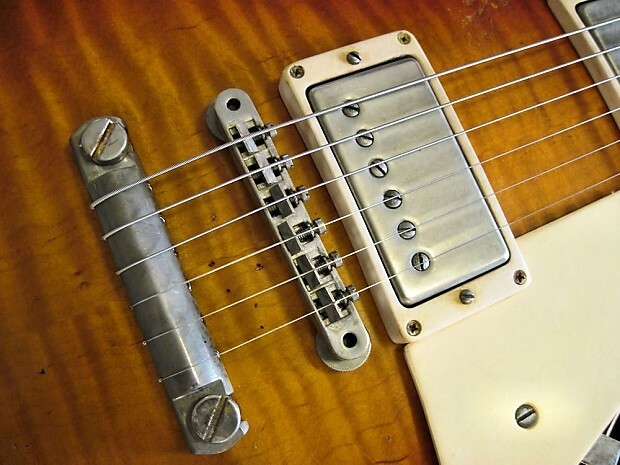 Then even more importantly, the entire guitar has been elevated to a whole new level with Tom Doyle’s own Doyle Coils TRU-CLONES PAF Humbuckers, our Holy Grail '59 Les Paul Harness w/Real Bumblebee PIO Caps - New pots, caps, wires, switch, jack… the whole 9 yards. 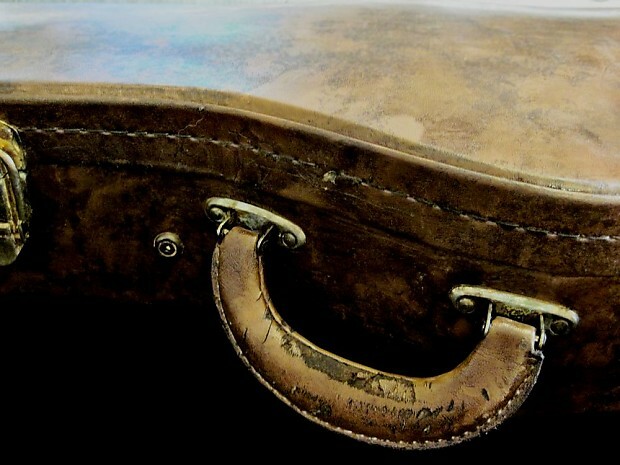 Even the Lifton Case has been turned into a vintage and relicd’ object of art… no stone left unturned. It’s the Complete Package! In short, this Gibson Les Paul Custom Shop Historic 1959 Reissue is a Masterpiece… Virtually indistinguishable from the Real Deal 1959 Les Paul Standard Burst, and we even dare say that it sounds better! 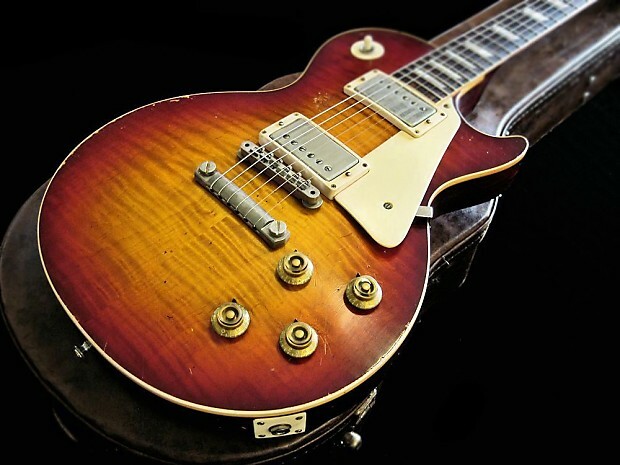 The guitar has all of the mojo, prestige, vintage charm, old-school feel & playability of a Real Burst, and of course that “wow factor” of those famous artist played ’59 Bursts you’ve drooled over all of your life… But without that six figure price tag. 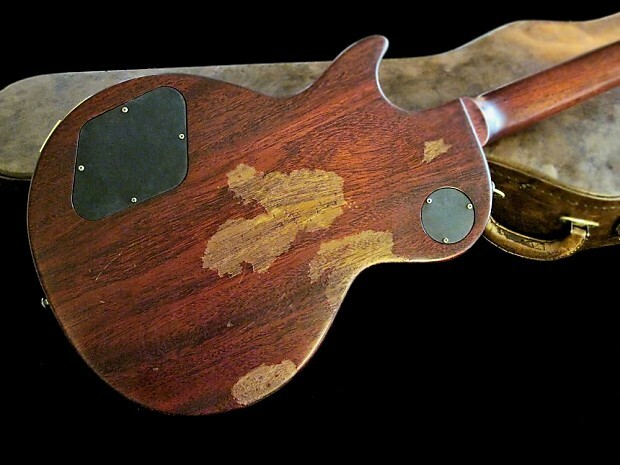 Are there other guys out there aging and relic’ing Les Paul guitar? Sure… but how many of them were Les Paul’s personal guitar builder and constant companion for all things music for over 45 years? Tom Doyle is nothing less than a walking-talking encyclopedia of the legacy of our friend and legend, Mr. Les Paul… and the guitar that famously bears his name. 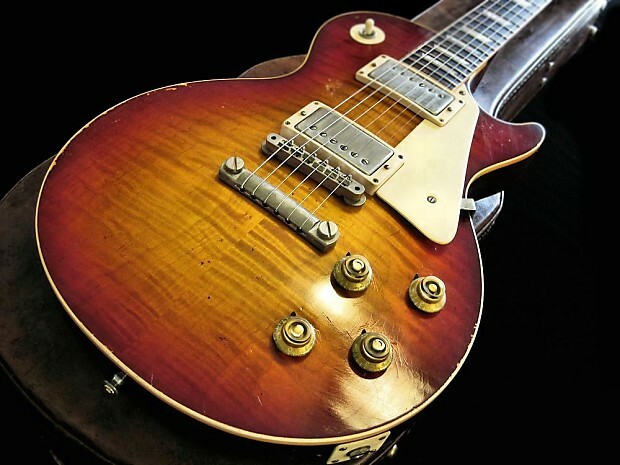 This is an opportunity to put your hands on an amazing Historic Aged Les Paul Relic straight from “The Source”… it really doesn’t get any better than this! One of the first things we do is strip the guitar all the way down to nothing but a body and a neck… and we get rid of over 2/3rds of the glossy nitro finish. This lets the guitar “breathe”. 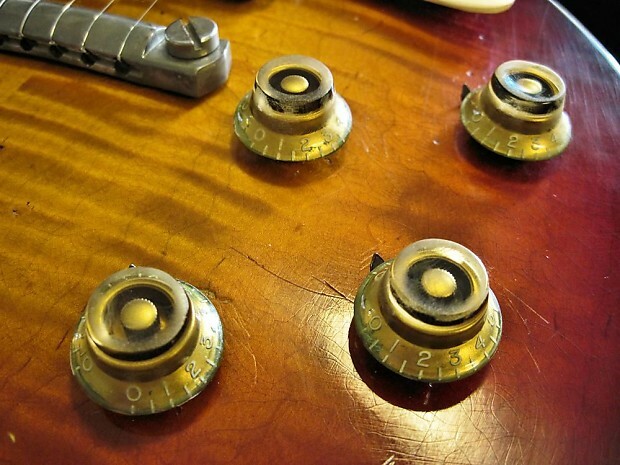 This is a major component of why old vintage guitars sound so woody and have that live and earthy, sweet tone. 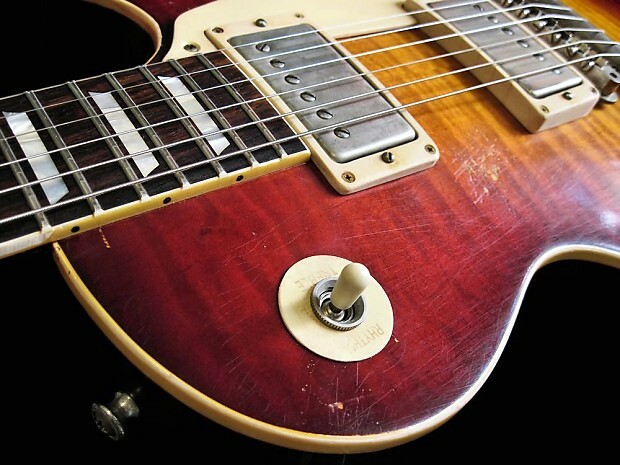 While tons of nitrocellulose lacquer gives a Les Paul its “fish bowl” glossy and shiny finish, it does the guitar no favors when it comes to capturing that vintage late 50's tone we’re all chasing. 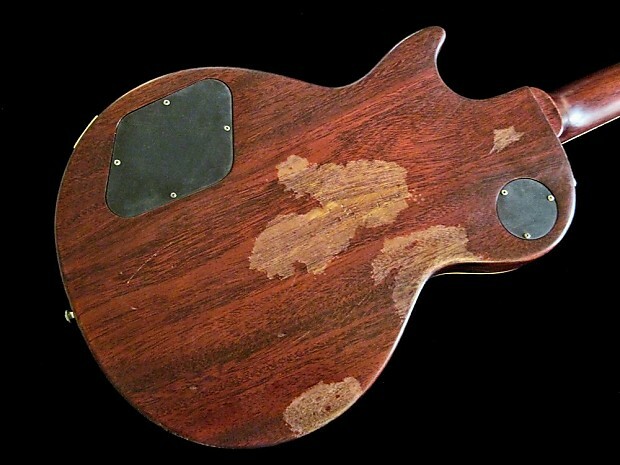 Getting rid of a majority of the massive amount of lacquer allows the guitar to vibrate, resonate, and ring in a way only 50 and 60 year old Les Pauls, that have been played and played over decades, can achieve. Then we painstakingly age, wear, breakdown, and antique every single part, piece, component, nut, bolt, and screw. Everything on the guitar gets aged… just as an almost 60 year old guitar would get aged by time, use, wear, smoke, weather, sweat, bumps, and bruises… and just plain being played and played. That’s what these beautiful guitars were made for – to be played! Next the guitar’s finish gets weather checked, just as it would over time. 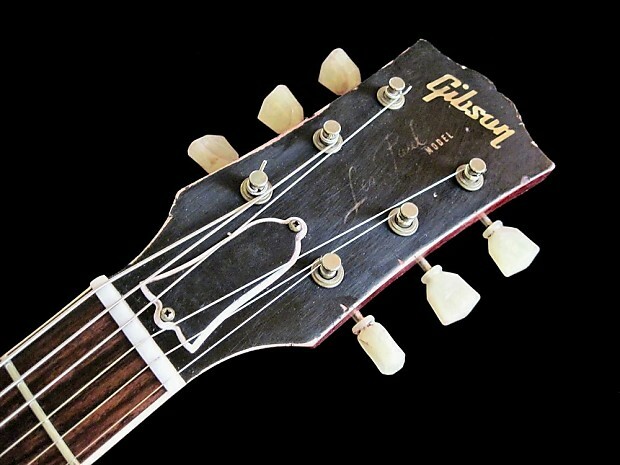 It gets faded, scratched, hit, cracked, popped, and generally molested… just like a gigged and heavily used guitar would be. Not just willy-nilly and indiscriminately… but with great care. 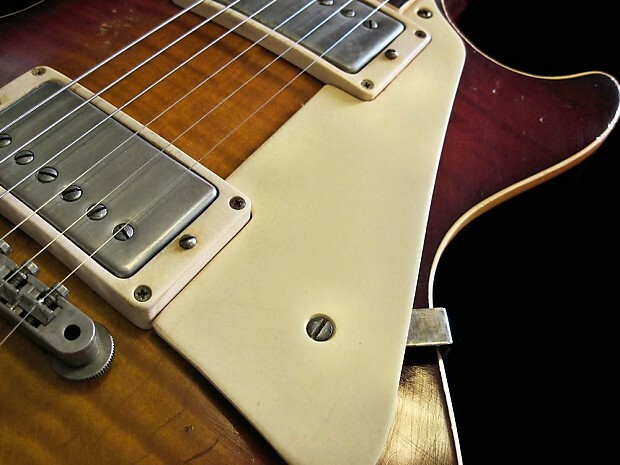 We take great pains to recreate the natural wear patterns of actual decades of use by real guitar players in real live player situations… we’ve studied this at great lengths. After all we’ve been playing guitar ourselves our whole lives, and building guitars for the “Greats” for over 50 years. Every little detail is given the utmost attention… nothing left to chance, and we use every part of our knowledge as professional luthiers to achieve a completely realistic ‘59 Burst. The result is nothing less than spectacular! Now for the “Pièce De Résistance”… We install our world famous Doyle Coils TRU-CLONES PAF Humbucker pickups, Les Paul’s final pickup project! 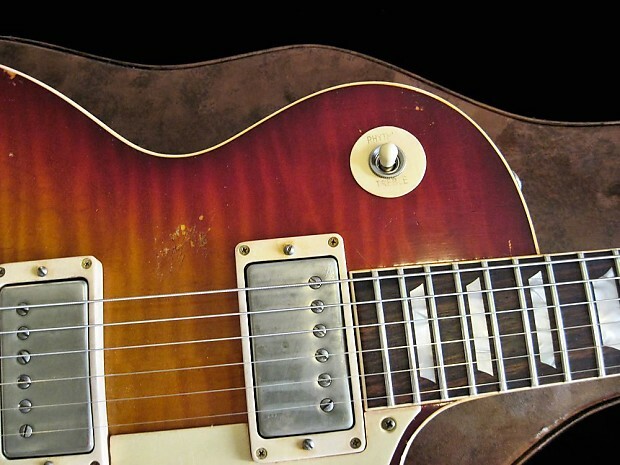 These pickups were the last invention Les was working on to improve the sound of the Les Paul guitar. As if that weren’t enough, we rewire the whole guitar with our ’59 Holy Grail Harness ~ 550K high audio taper pots, and REAL paper-in-oil vintage correct .022 Bumble Bee capacitors… The Best of The Best! Walk into any music store, a gig, recording studio, or a friend’s house with an old worn vintage Lifton Case (comes with)… snap open the latches, pull out this guitar and mouths will drop… happens every time we show up anywhere with one of these “Time Machine” Relics. Sometimes we have a hard time convincing some people that it’s not the Real McCoy. Then when they hear it played through your favorite amp… minds are blown, and heads just shake in disbelief. 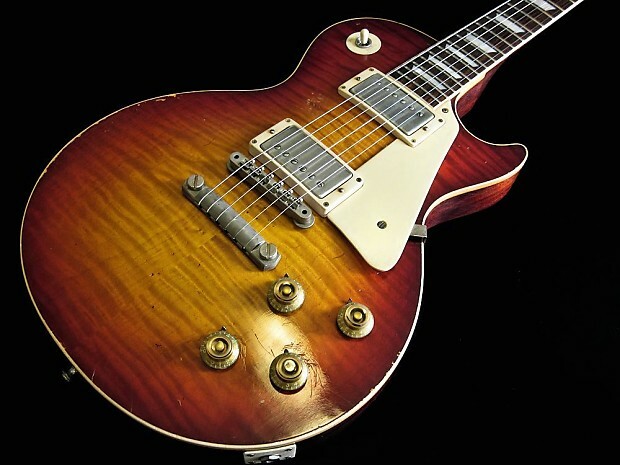 SO CLOSE TO A REAL '59 BURST ITS UNCANNY! 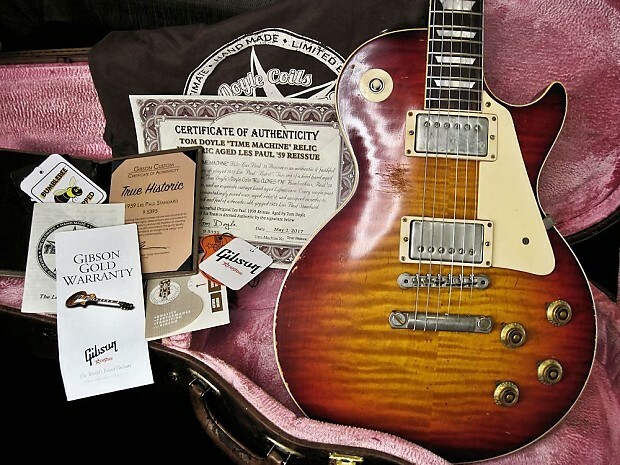 This Les Paul is a BRAND NEW 2015 Gibson Custom 1959 Les Paul TRUE HISTORIC with all the specs of a ‘59... Meticulously hand aged by Tom Doyle. This Guitar weighs in at 8lbs, 2 oz. JUST LIKE A REAL BURST... BUT WITHOUT THE SIX FIGURE PRICE TAG!